Quelque soit votre niveau, vous trouverez votre formule que nous adapterons spécialement pour vous. Ensemble nous établirons votre planning de sessions…. POSSIBILITE DE PRIVATISER LE LAC POUR VOS ANNIVERSAIRES, SEMINAIRES, ENTERREMENT DE VIE DE JEUNES FILLES ET GARCONS…. Pour les groupes, à partir de 10 personnes, nous offrons la session à l’organisateur. 4 sessions dans la journée pour découvrir les différentes glisses : wakeboard, figure, barefoot, biski, mono. Vous pouvez aussi venir librement skier à la minute, ou rider sur rendez vous : 3 € / minute. Groupes, Séminaires, Entreprises, Anniversaire, Enterrement de vie de jeune fille ou jeune garçon : privatisation possible du Lac pour votre évènement. 12 ème slalom au CHAMPIONNAT DU MONDE +35 2014 et 7ème figure et combiné. Fabulous site well protected by mature pine forest. Great location for easy access – 45 minutes by car from Bordeaux airport. Arcachon town/beaches 15 minute drive. Lac De Cazaux 10 minute drive. Raoul and his team always make everyone welcome both on and off the water. Coaching is individually tailored to all disciplines to suit all experience levels. All of Raoul’s team are qualified coaches/drivers. Raouls passion for water skiing is reflected in his ability to pass on his extensive knowledge with the coaching he provides. Off the water Ja Ja provides a cosmopolitan variety of catering throughout the day. Accommodation for all budgets is available locally including a recently constructed family lodge adjacent to the lake which is available to rent. Un cadre magnifique, une equipe de professionnels aguerris : merci Raoul pour tous ces bons conseils qui ont permis à ma team de se faire plaisir en toute securité. I wondered if you want to use this review on your website? 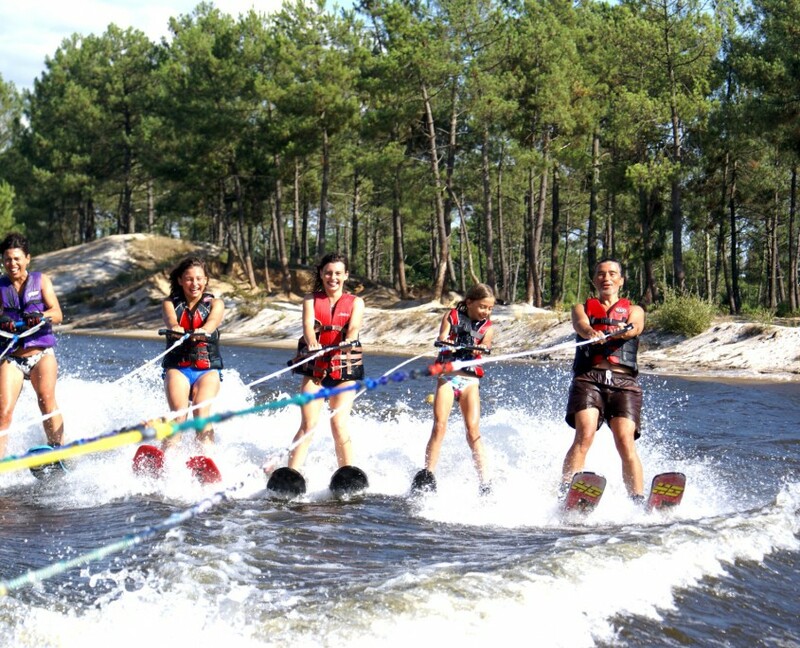 When we looked we particularly wanted to find a place with wakeboarding and it was surprisingly hard to find anywhere in France and so I wondered if this might help someone in our position in the future: We loved this place! 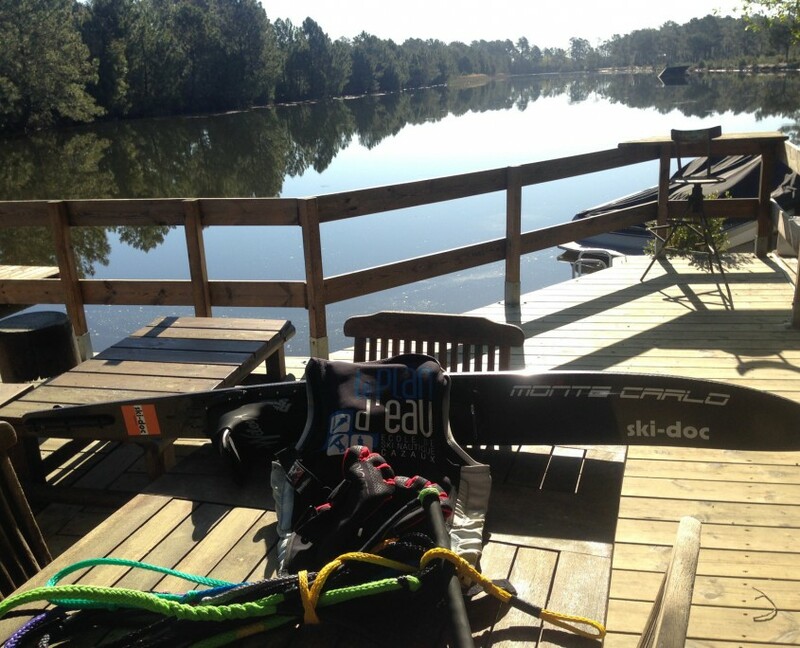 My wife and I ski and my two oldest sons wakeboard. We all had an amazing time. Raoul was as amazing at coaching my wife who is learning the slalom course, as he is coaching into very short lines. The wakeboard coaching was also fantastic for my boys who are also at different levels – from just learning some tricks to wake-to-wake 180s. It is a difficult trick to keep all our family happy and these guys did an awesome job. J.J’s food was absolutely the BEST! Even if you don’t ski, just go for the food! Great coaching, great atmosphere, AMAZING food! We really felt welcomed and looked after, throughout our stay. We wished we had stayed longer. We will definitely go again. Matt & Gina Hyam. Réservez vite votre session !